BRP has issued a recall notice for in the United States 2016 Ski-Doo snowmobiles with 600 HO E-TEC and 800R E-TEC engines, due to an issue with the fuel hose. According to the recall notice, internal damage to the fuel hose can cause a leak, which poses a fire hazard. No incidents or injuries have been reported regarding the damaged fuel hose. 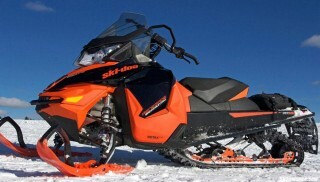 The recall involves 68 models of 2016 Ski-Doo snowmobiles for a total of approximately 2,800 units. Units were sold at Ski-Doo dealers nationwide From September 2015 through November 2015 for between $12,000 and $17,000. All of the affected units were made in Canada. BRP toll-free at 888-272-9222 from 8 a.m. to 8 p.m. ET Monday through Sunday, or online at www.ski-doo.com and click on “Owner Center,” and then “Recall Information” for more information. Consumers are asked to immediately stop using the recalled vehicles and contact BRP to schedule a free repair. BRP is notifying registered consumers directly about this recall. Owners can also contact BRP toll free at 888-272-9222.